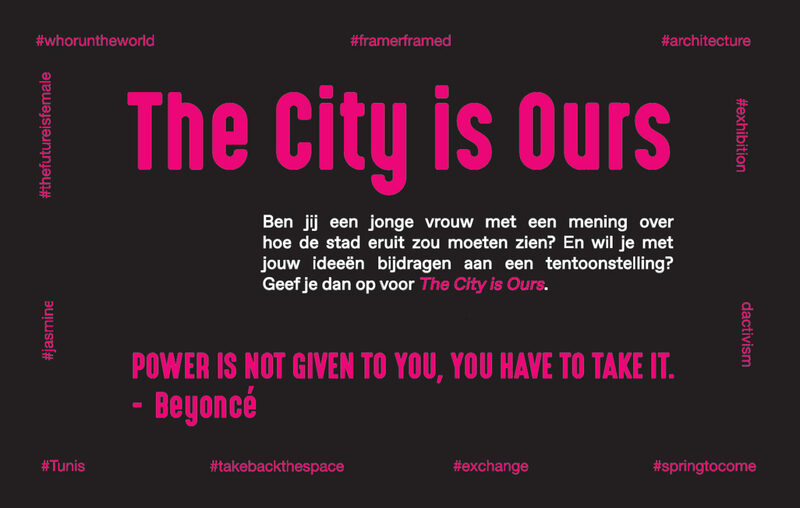 The City is Ours is an exchange project in which young women in Amsterdam and Tunis investigate how they relate to public space and, through art, can increase their sense of ownership over public space. 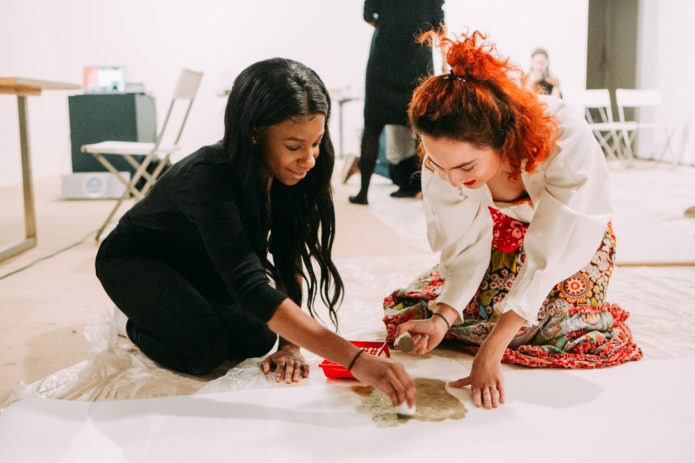 Through a series of workshops, a group of young women in both cities are introduced to methods through which they can participate in democratic processes and experience the potential of socially engaged art. We offer a safe environment during the workshops and open studio time that stimulates the participants to reflect and experiment. Artists and socially innovative workshop leaders enable young women to set common goals with self-confidence, to develop and implement a plan. The workshops take place from beginning of February to the beginning of March 2019. Participants in both cities share their experiences and ideas through the Tumblr page of The City is Ours, in the form of photography and video. The results will be made public in an exhibition, opening on 8 March, International Women’s Day, in both Amsterdam and Tunis! The Amsterdam location is Werkplaats Molenwijk, in Tunis the exhibition will take place in Ben Arous. The workshop is open to Dutch speaking young women (15-22) in the Amsterdam area. The project The City is Ours is an initiative of Framer Framed, in collaboration with Spring to Come, Mellouki Cadat and Netwerk Democracy and was designed in collaboration with Jasmine Foundation. European Cultural Foundation, Prince Claus Fund and Fonds ZOZ.